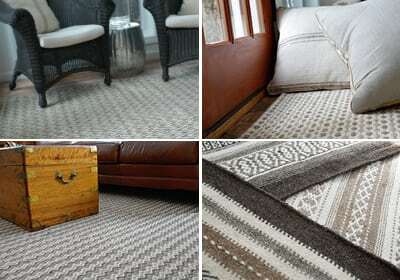 Attractive, affordable rugs, hand-woven in a range of eco-friendly colors.Who says Earth-Friendly can’t be elegant? Springy, Safe, Born for Bare Feet. Meet our Plush Pride & Joy. 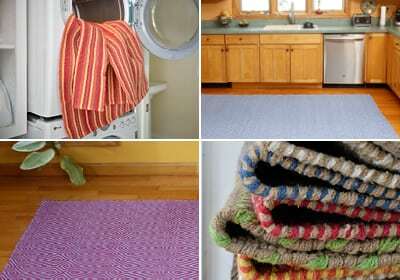 Sink your feet into the cheerful comfort of our Loom-Hooked Eco Cotton rugs. Handcrafted patterns and a unique springy feel lend cozy credibility to any room. Earth-friendly, too: They’re hand-woven on special looms from our unique recycled Eco Cotton, all without latex backing or adhesives. Using our unique and innovative process, we create colored yarns from recovered textile fiber. 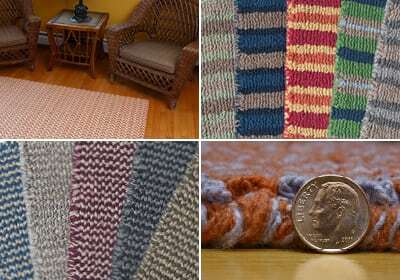 Then we hand-weave our cotton rugs from this new yarn without dyes, chemicals, or latex. No Dyes. No Chemicals. Sheep-Colored. Beautiful. We believe wool is safest and most splendid as found in nature. No adulterants. No dangerous off-gassing. Just hand-woven, hand-bound wool. Using only the real color variations of natural breeds of sheep, our wool rugs are carefully hand-woven into rich, refined patterns. All of our flat woven wool rugs are hand-bound and 100% reversible, and are made without latex for many years of healthy use. The moment we ran our hands through our Eco Cotton Loom-Hooked rugs, we knew we had to offer them in wool. They’re finally here. 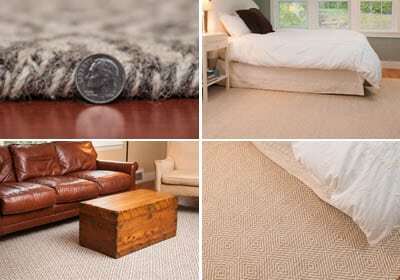 Soft and springy, these natural wool rugs are hand-woven on our specialty looms. 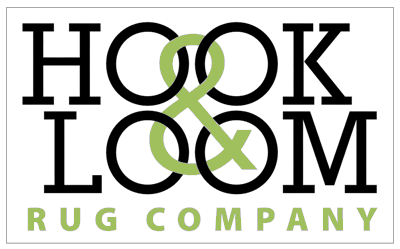 Our unique loom technique lets us skip the unhealthy latex backing and chemicals found in other hooked rugs, without sacrificing any of the cushy barefoot comfort our Loom-Hooked rugs offer. True to our Eco Commitment, our Loom-Hooked Wool rugs are made from 100% undyed wool, in a variety of natural sheep colors.